Mom & Dad. 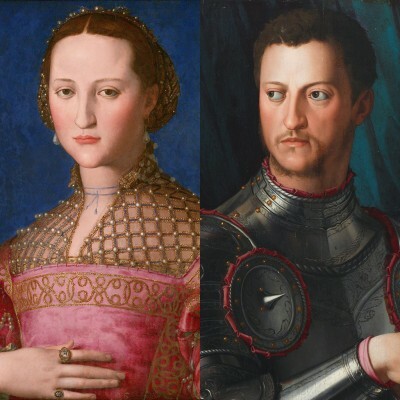 Eleonora di Toledo (Spain) & Cosimo I de Medici. Mom had so many kids, 11, that they nicknamed her “la fecundissima.” Dad actually came from the lesser branch of the family, but he wound up being the first Grand Duke in Medici history.